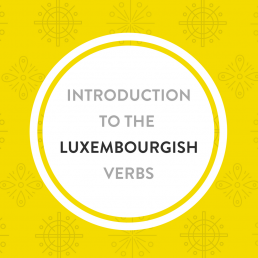 Did you know that between 60% and 70% of the time when we use a verb in Luxembourgish, it is an irregular one? 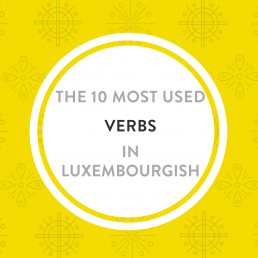 That means that learning and using correctly irregular verbs is essential for learning Luxembourgish! Luxembourgish has so many irregular verbs that it can make you go crazy… but even irregular verbs follow some patterns. In this lesson, you’ll learn “series” of irregular verbs and their conjugation that can make it easier to memorize them. 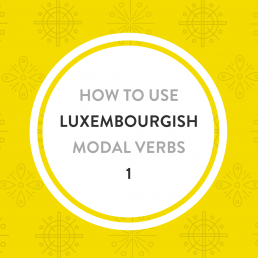 Learn the basics (the conjugation of regular, irregular & modal verbs) of the Luxembourgish verbs! The 5 following verbs (which are used on a daily basis in conversations) follow a special pattern. Learn them separately. This is of course, not an exhaustive list. I just would like that you learn the verbs that are used in every day conversations and that are useful for you in everyday conversations, dear learner. Don’t just study this list – try to create your own sentences and use all the verbs you know! This will help you remember them much better. Watch the video so to practice your pronunciation and your grammar – along with me! Download this lesson as a PDF copy!